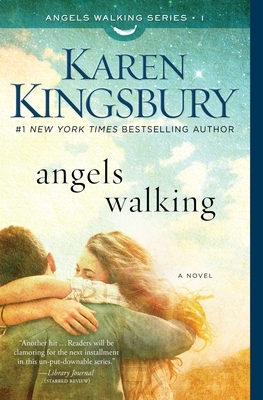 From #1 New York Times bestselling author Karen Kingsbury comes the first in a brand-new series about second chances—a dramatic story about a washed up baseball player, the love he left behind, and the miracles that might save them both. A team of Angels Walking take on the mission to restore hope for Tyler, Sami, and Virginia. Can such small and seemingly insignificant actions of the unseen bring healing and redemption? And can the words of a stranger rekindle lost love? Every journey begins with a step. "New York Times best-selling author Kingsbury (The Family of Jesus) delivers another hit with relatable characters, even pacing, and heartfelt moments. Readers will be clamoring for the next installment in this un-put-downable series." "Kingbury’s fans and new readers alike will love her newest protagonists and relate to the struggles that hinder their finding fulfillment and joy."